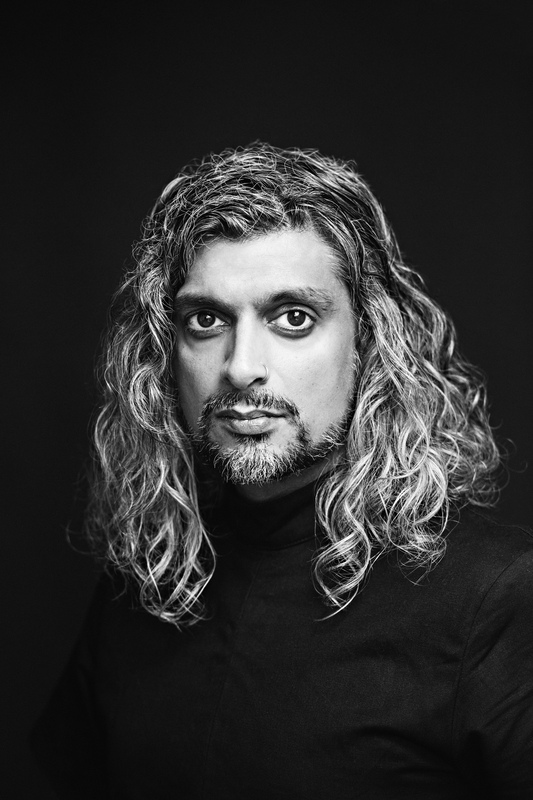 Kazim Ali’s books include several volumes of poetry: Inquisition (Wesleyan University Press, 2018); ( Sky Ward (Wesleyan University Press, 2013); The Fortieth Day (BOA editions, 2008); and The Far Mosque (Alice James Books, 2005); and a mixed-genre book Bright Felon: Autobiography and Cities (Wesleyan University Press, 2009), which was a finalist for the Ohioana Book Award in Poetry, the Asian American Literary Award in Poetry, and the Lantern Award for Memoir. He has authored two novels, The Disappearance of Seth (Etruscan Books, 2009) and Quinn’s Passage (blazeBox books, 2005); as well as two collections of essays, Fasting for Ramadan (Tupelo Press, 2011) and Orange Alert: Essays on Poetry, Art and the Architecture of Silence (University of Michigan Press, 2010). He co-edited (with John Hoppenthaler) Jean Valentine: This-World Company (University of Michigan Press, 2012), and has published translations of Water’s Footfall by Sohrab Sepehri (Omnidawn Press, 2011), and (with Libby Murphy) L’amour by Marguerite Duras (Open Letter Books, 2013). Kazim co-founded the small press Nightboat Books, and he is a contributing editor for AWP Writer’s Chronicle and associate editor of the literary magazine FIELD. He is an associate professor of creative writing and comparative literature at Oberlin College.